Looking for cute cloth diapers for girls? Our photo guide shows some of the top prints and styles perfect for little girls! gPants - "Lotus" - sized cover ($23.95), matching dress also available. One of the best things about cloth diapers (besides saving money!) is that they are fluffy and cute! While there are lots of gender neutral cloth diaper options, there are some absolutely adorable diapers for little girls. Whether you're looking for pink or purple, and flowers or frills, or even just under-stated elegance, we are sure that this collection of girly cloth diapers will include at least one that catches your eye! 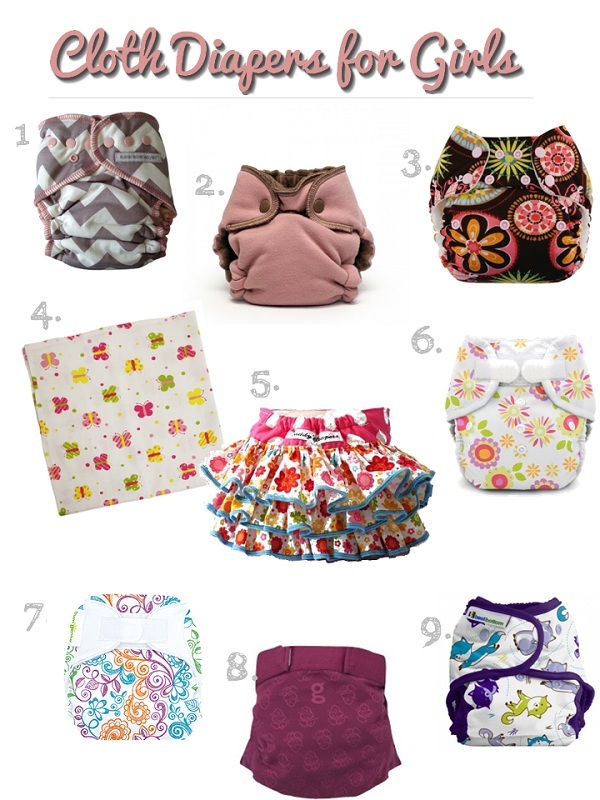 This collection contains some of our favorite designer diapers for girls. Which one would be perfect for the little girl in your life? Return to Types of Cloth Baby Diapers.